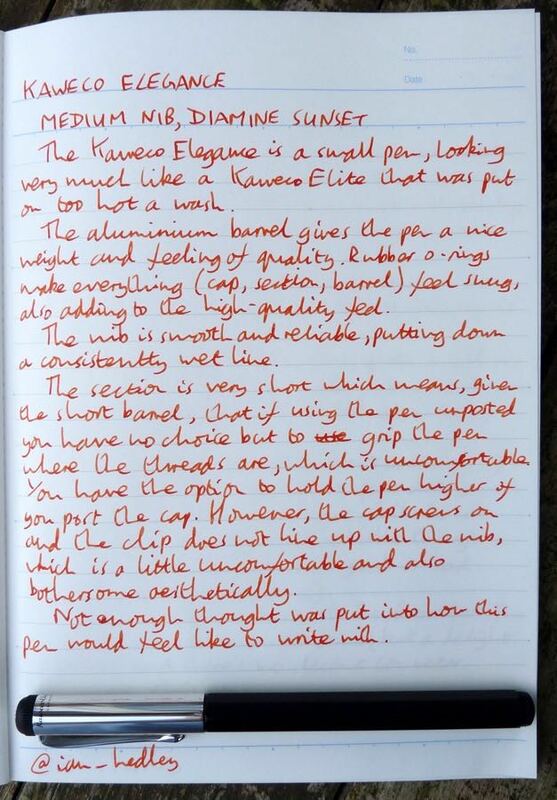 Kaweco Elegance Fountain Pen Review – Pens! Paper! Pencils! 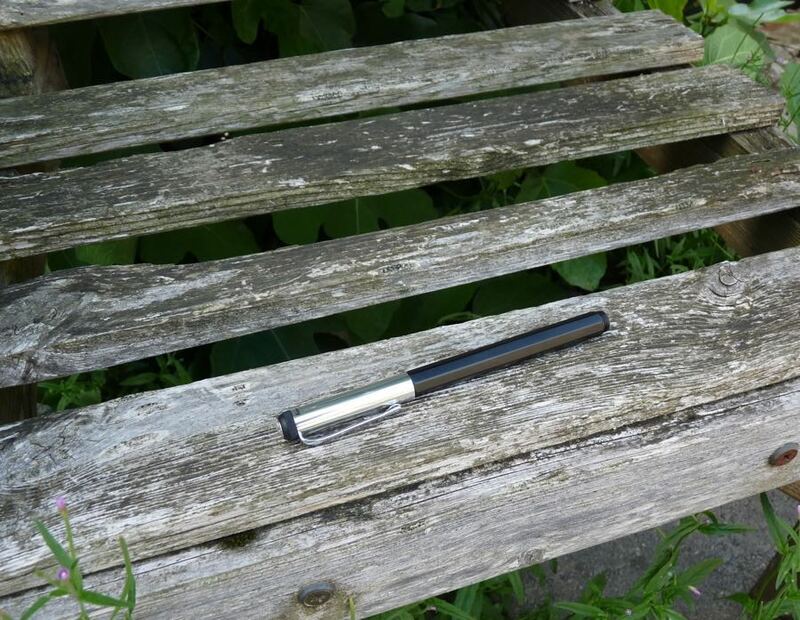 The Elegance is a long slim aluminium pen. 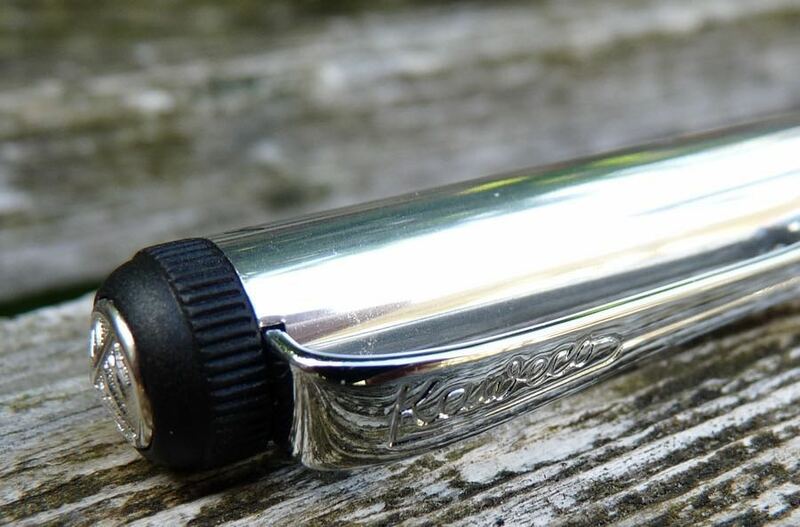 Kaweco’s metal pens tend to be pretty good, so how does this one stack up? 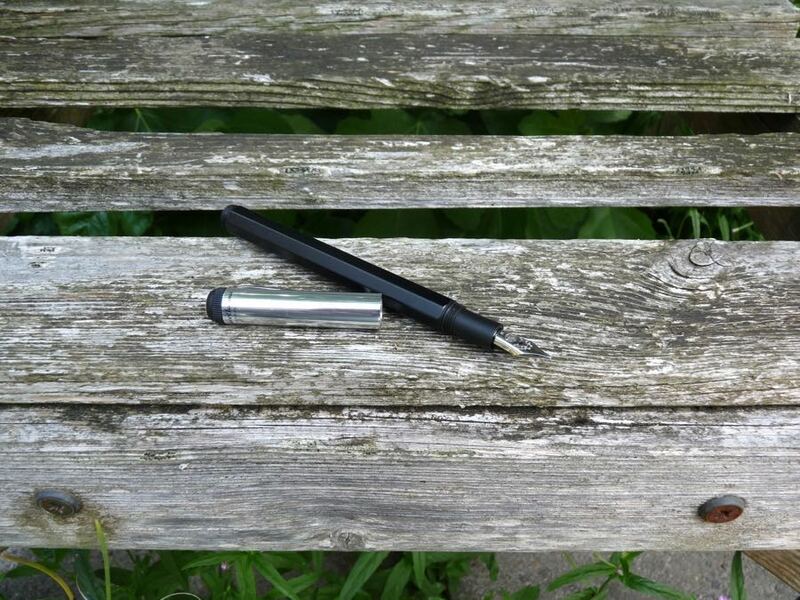 I was loaned this item by Kaweco for the purposes of review. I have since returned it. No money exchanged hands and these are my own honest opinions. Unfortunately it isn’t great. The barrel and section are the same as the AL Special and suffer from the same issues. Only the cap is different and sadly the cap adds to the problems. The barrel is well constructed. 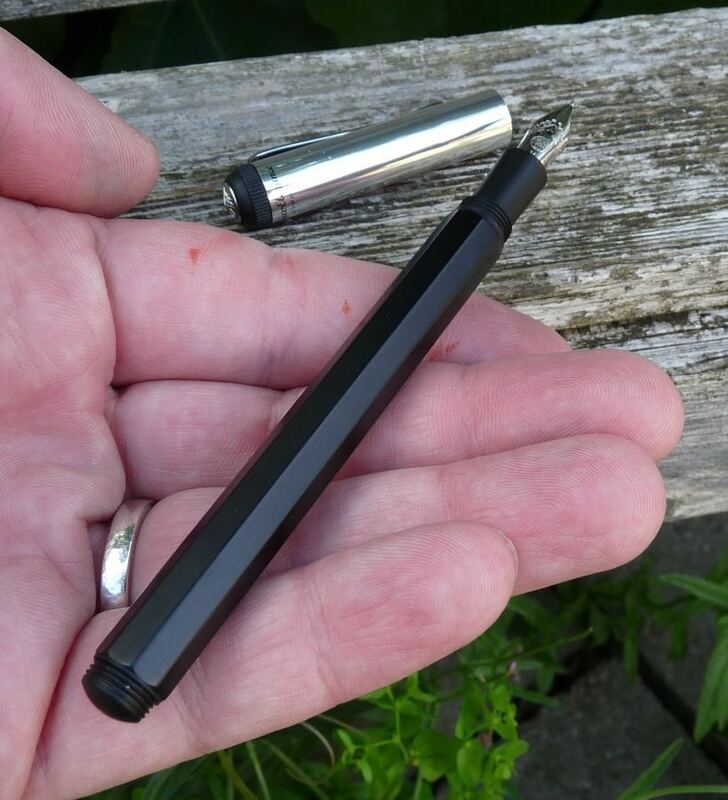 It’s very slim but as it’s made from aluminium it feels reassuringly robust in the hand. It’s a little short and you may want to post the cap. The cap screws onto the end but the clip doesn’t line up with the nib. Not only does this not look good, it makes the pen less comfortable than it should be. Unless your fingers are either very tiny or numb from, say, years of working in a steel foundry, you will find the section too small and uncomfortable (because of the threads) to hold. It’s so small it isn’t so bad to hold the pen above the threads but if you do that you will definitely need to post the cap and then the clip not lining up will irritate you. The clip itself is strong and clippy though very much on the stiff side. The medium nib on this pen was good. It was smooth and had good flow, with no issues. 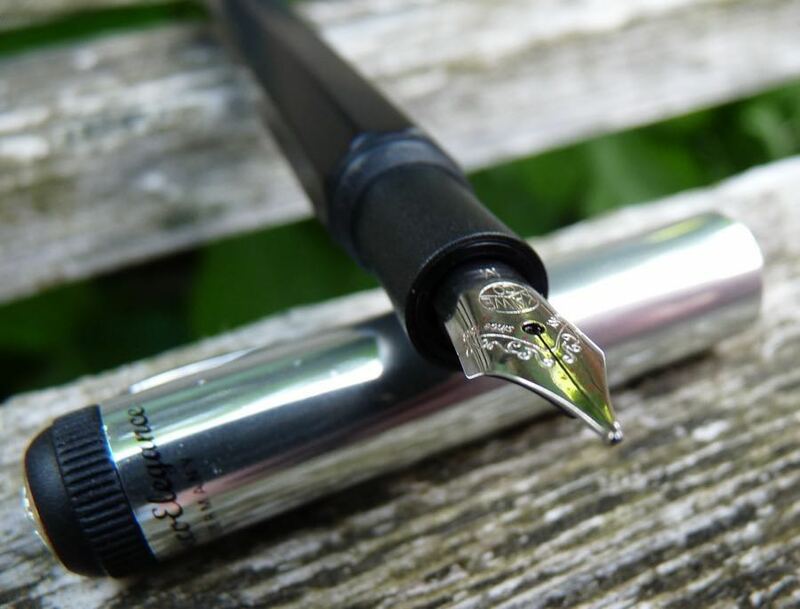 I’ve used a lot of Kaweco nibs and their extra-fines to mediums have, with one exception, been excellent. Broad and double broad have been a little less reliable: sometimes good, sometimes not. You can use standard international cartridges or converters, which is always a good thing. 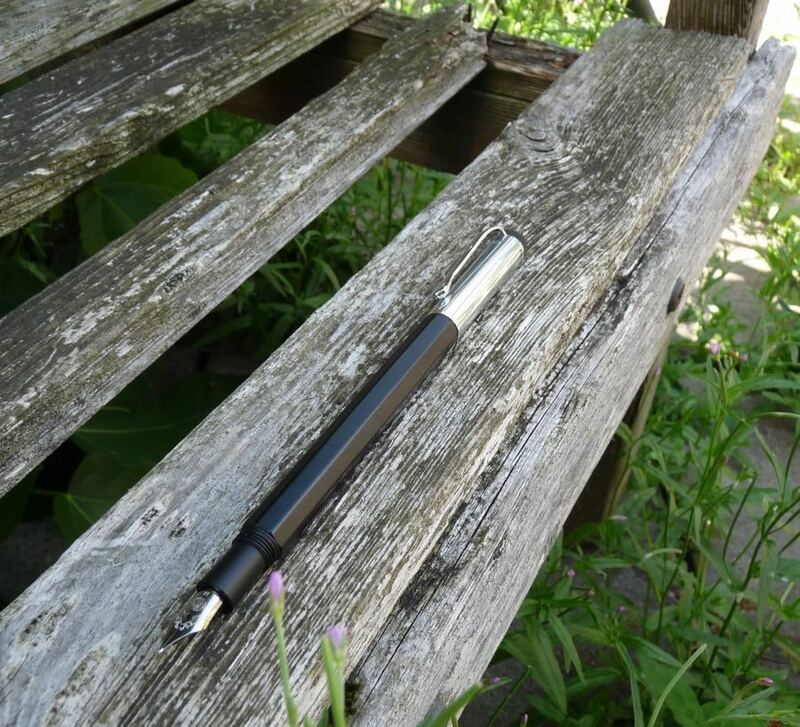 I think Kaweco spent more time considering how this pen looked than thinking about how it would be used. It looks great but it’s not at all pleasant to write with.